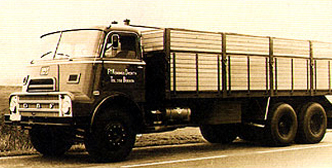 Since its foundation 50 years ago Koning & Drenth has grown into a sizeable haulage company. The company began with the transport of grain and coal during the day and artificial fertilizer in the evenings. The company developed into what it is today through an outstanding entrepreneurial spirit and an iron will and a willingness for hard work. 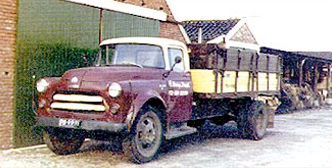 Koning & Drenth was initially based in Beerta. First at Hoofdstraat, but after several expansions that site became too small. In 1986 large new premises were built for the company at Ulsderweg in Beerta. The company was founded by Hindrik Drenth, his wife Miene and her father Hindrik Koning. In 1989 Koning & Drenth was passed down to younger brother Tinus Drenth and his sons Hindrik and Anton. It is a close family firm. The company also has loyal employees: many have been employed by the company for many years and they often stay until they approach retirement age.